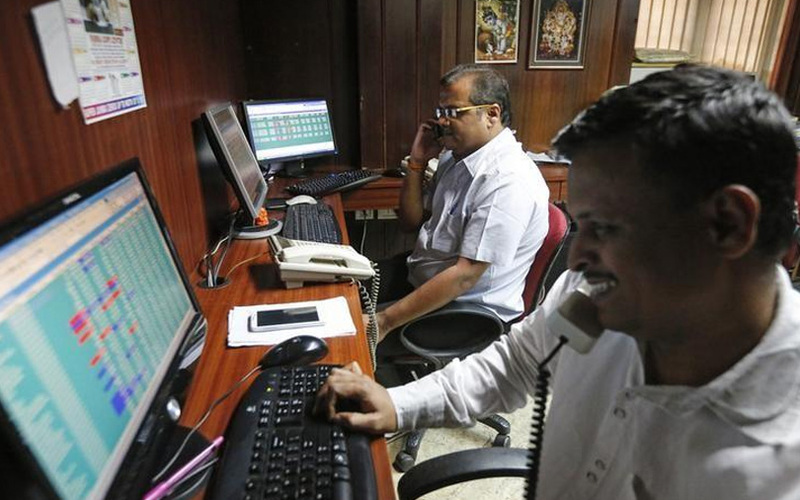 Indian shares touched record high levels on Monday with IT stocks such as Infosys and Wipro Ltd leading the gains, while firm Asian markets on strong economic growth in China boosted investor sentiment. Asian shares set a fresh two-year high, boosted by stronger-than-expected economic growth in China and bets that lacklustre U.S. data will keep the Federal Reserve cautious about the pace of further policy tightening. MSCI's broadest index of Asia-Pacific shares outside Japan extended earlier gains to climb 0.26 percent by 0630 GMT. The broader NSE Nifty hit a life high, rising as much as 0.34 percent to 9,920.30, while the BSE Sensex gained as much as 0.35 percent to 32,131.92, a record level. "Foreign investors are continuously buying into selected index heavyweight stocks, resulting in the upmove in the market," says Deven Choksey, promoter, K R Choksey Investment Managers. Both the Nifty and the Sensex posted their best weekly gain last week, since the week ending March 17, 2017. Nifty IT index was up 1.2 percent. Infosys Ltd rose 1.4 percent while Wipro Ltd gained 3.2 percent after the software service provider said on Friday that it would consider a buyback proposal. Meanwhile, Fortis Healthcare Ltd and Religare Enterprises Ltd fell as much as 12.8 percent and 8.9 percent, respectively after India Ratings and Research downgraded some non-convertible debentures (NCDs) and loans held by RHC Holding Pvt Ltd, which owns shares in Fortis and Religare, to default levels of "IND D" and "IND C".